Madge isn’t much of a gambler. In fact she would rather put $200 down on a pair of shoes rather than lose it at the craps table. 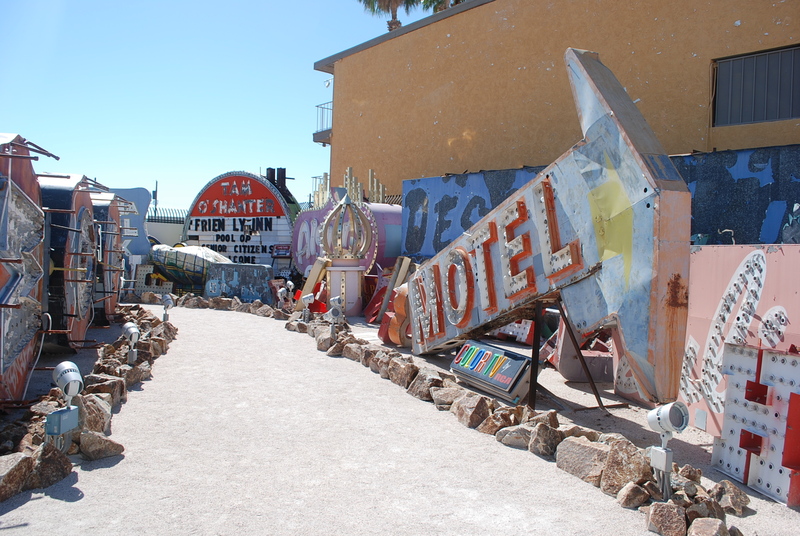 However, Mr. Madge did have an upcoming business trip to Las Vegas and there was that one item on the bucket list – The Boneyard, now called The Neon Museum. 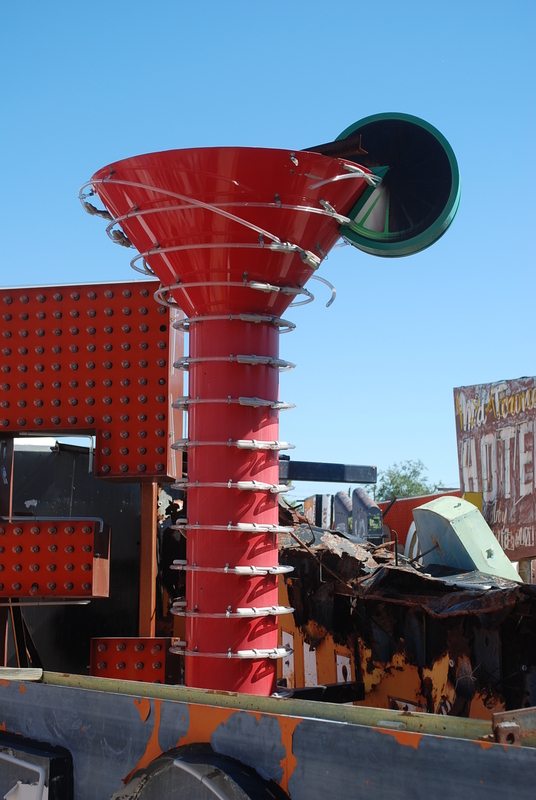 Madge had heard about it for years, the place where old Las Vegas signs went to die. 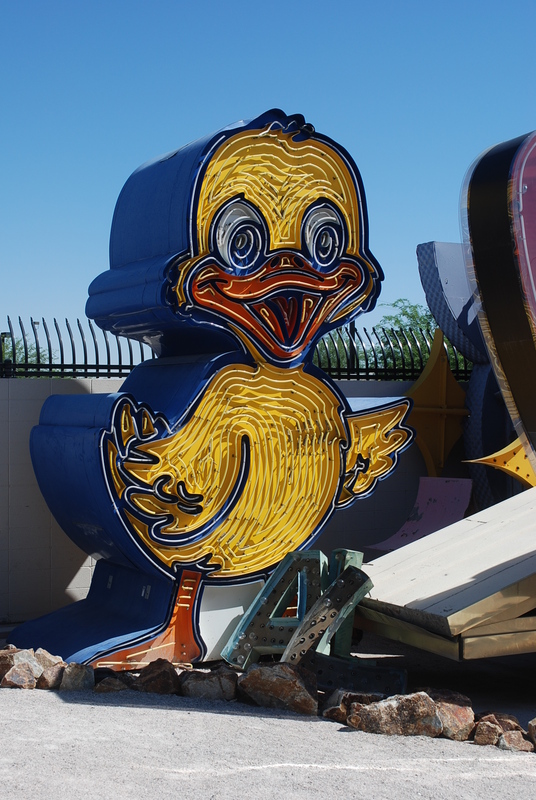 Once just a salvage yard of the Young Electric Sign Company (YESCO), the business responsible for most of Las Vegas’ iconic signs, it became known as the “Boneyard”, a place for spare parts. 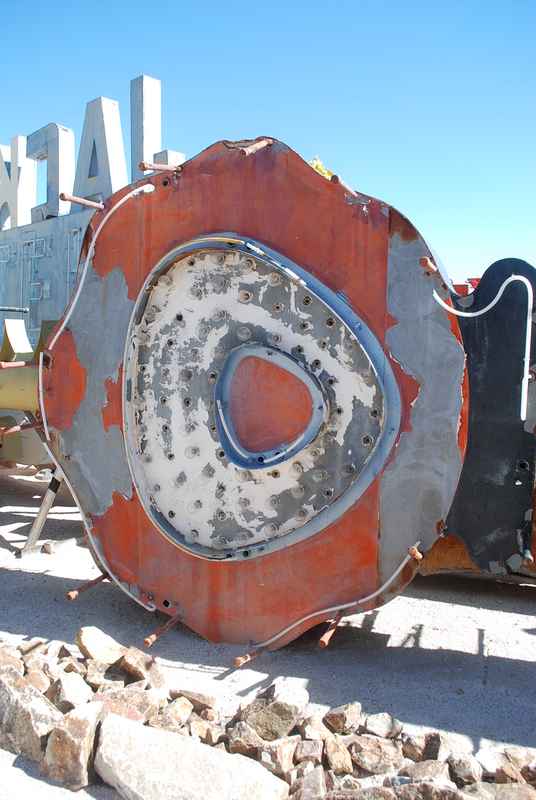 But as more and more of the original 50s – 60s casinos and hotels met the wrecking ball, a dedicated band of locals were determined to keep this part of Las Vegas history alive. 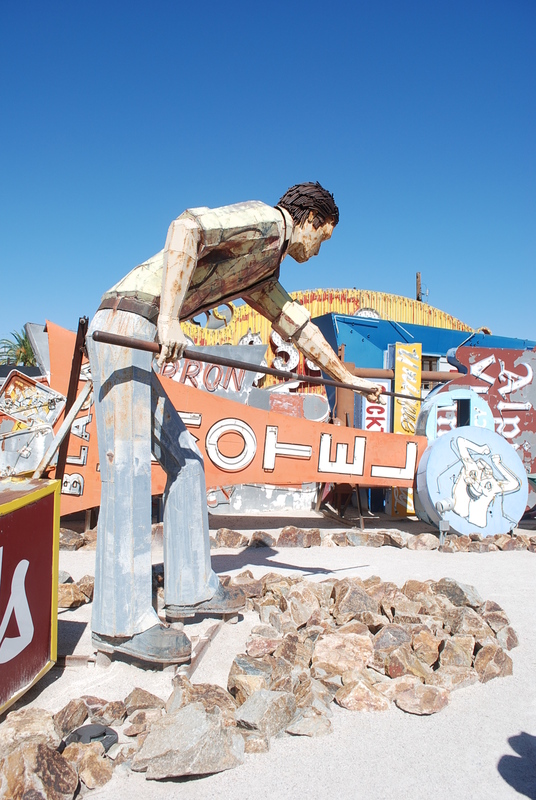 Slowly money was raised and once YESCO donating their yard the Neon Museum was born. In it’s early years the museum was not open on a regular basis. Group tour appointments could be made well in advance. Now, after moving the spectacular La Concha Motel lobby building to the site and restoring it to it’s full doo-wop glory it’s a full-fledged museum which is how Madge, Mr. Madge and friends found themselves there at the 10:00 am opening clutching their tickets and blinking in the bright sunlight. 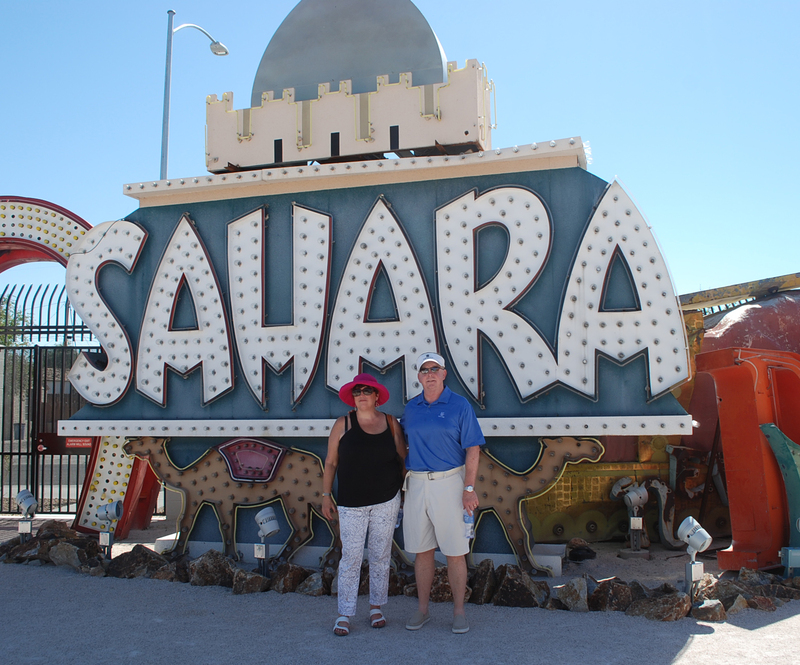 Las Vegas may be the only city in the world whose whole history can be traced through its signs. 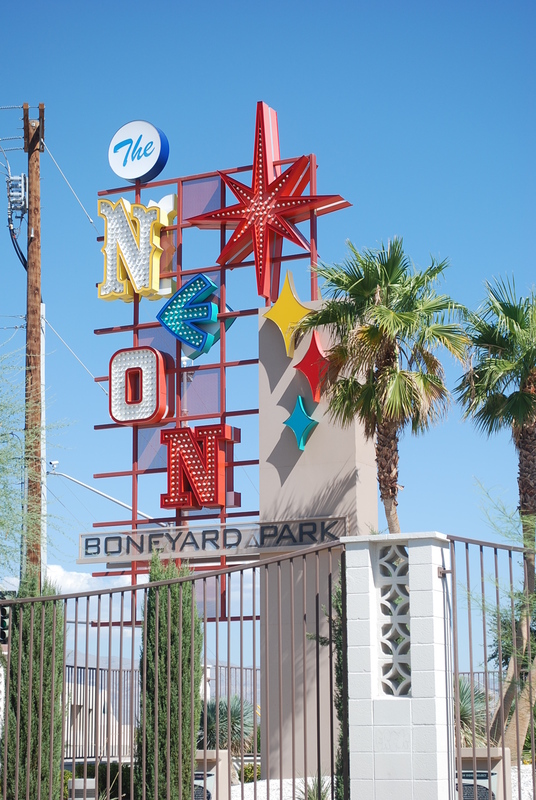 Since the Neon Museum is still literally a boneyard covering over two acres, guided tours are a requirement to safeguard guests and to make sure the bones aren’t light-footed out in pockets and purses. Madge recommends getting there for an early tour since it’s all outside. Our guide was a vivacious volunteer who had relocated from New Jersey in the 1990s (practically a native) and was full of fun facts and trivia. We began at the museum’s welcome center, the magnificent La Concha Motel lobby, rescued by the museum when the old motel was torn down. 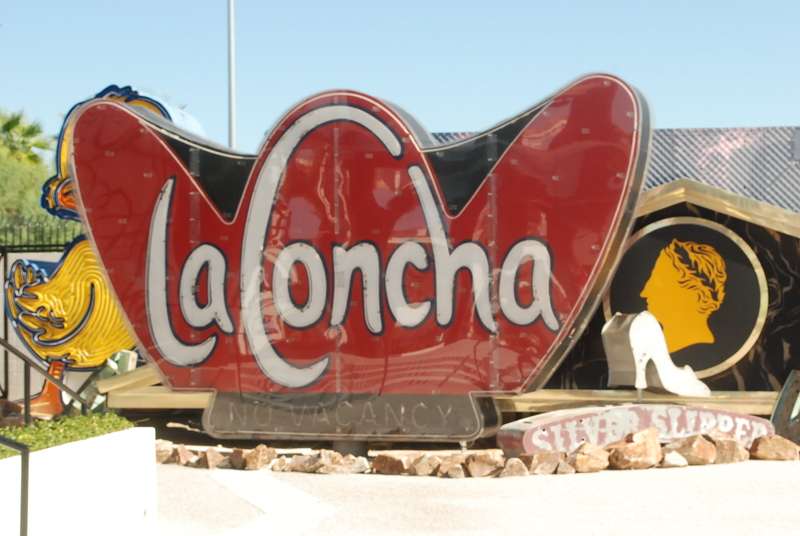 Paul Revere Williams designed the La Concha in an architectural style called Googie, or Doo-wop that was a subset of Modernism. 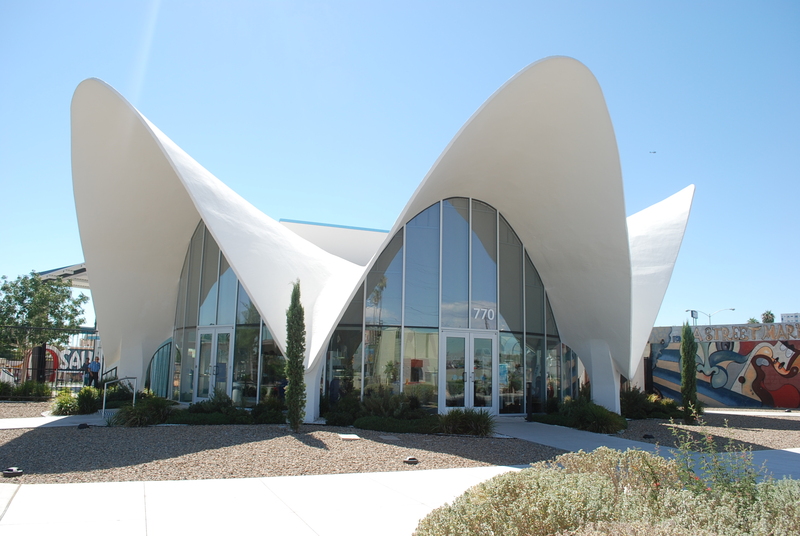 Googie was influenced by space age and atomic images and examples of the style are still stunningly futuristic. This was the world of the flying car and the Jetsons. The origin of the term Googie comes from a West Hollywood coffee shop, Googies, designed by famed modern architect John Lautner. The name stuck after a 1952 article in House and Home by Douglas Haskell. After pursuing the gift shop’s wonderful offerings we were off. 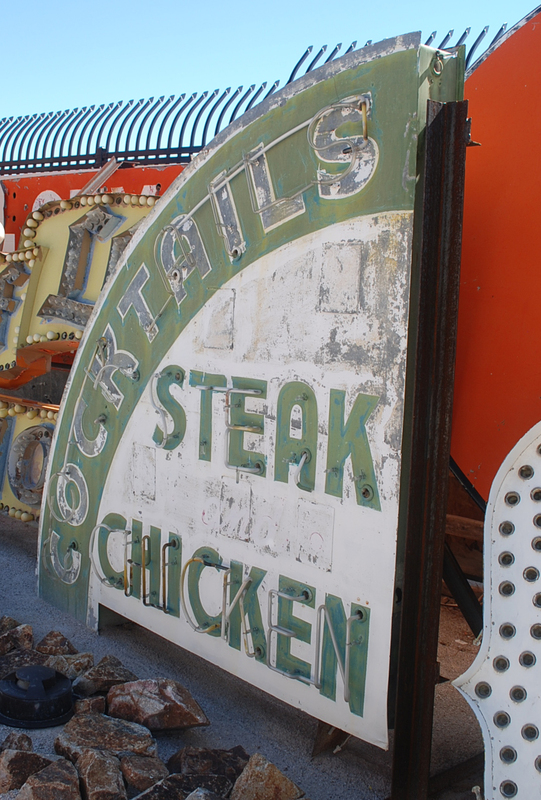 This is the oldest sign in the collection, from a restaurant and cocktail bar near the Hoover Dam construction site circa 1931. 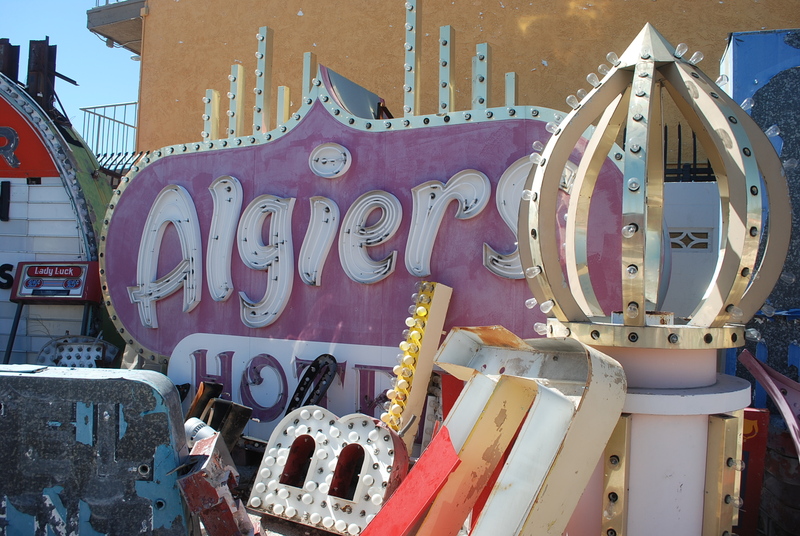 Algiers Motel sign from the 1950s. 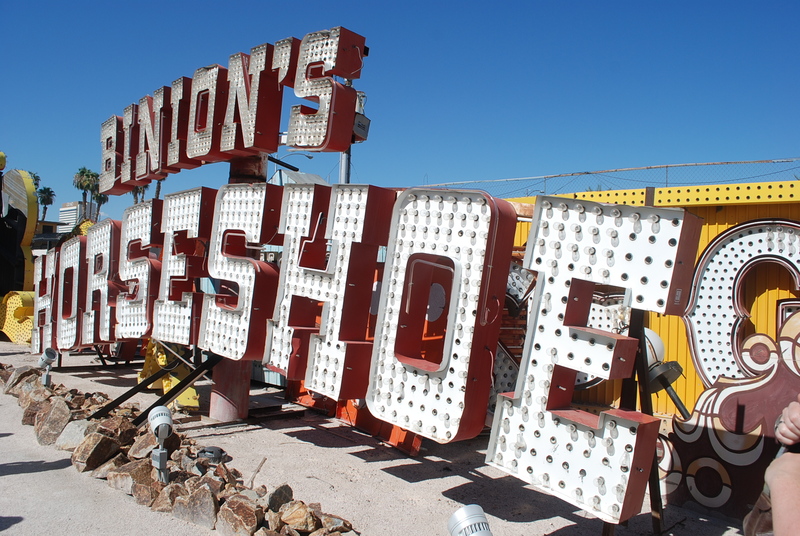 Binion’s Horseshoe was owned by Benny Binion. His family operated the downtown casino from it’s opening in 1951 until 2004 when it was sold to a large gaming company. According to our guide, Benny was a real innovator and his casino was first to offer free drinks to keep gamblers in their seats. The original 1965 display was one hundred $10,000 dollar bills. 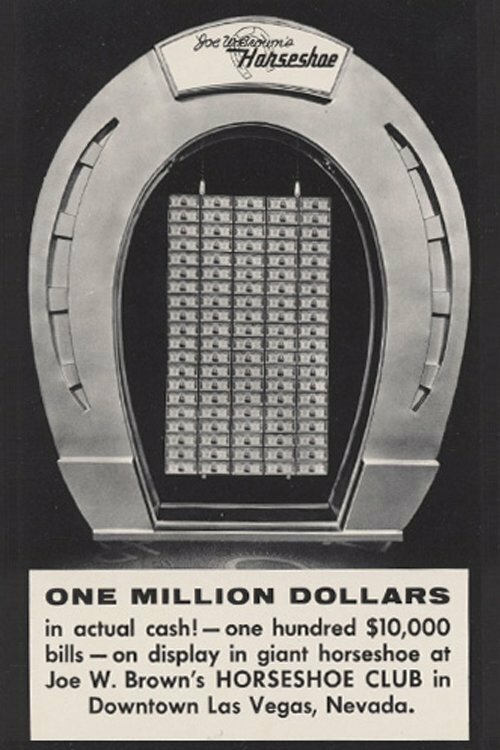 Later the original bills were sold to collectors and now the display features 2,700 $100 bills, 34,400 $20 bills and 42,000 $1 bills, built into a pyramid under thick plexiglass. He also installed a display of one million dollars in the casino that became a tourist attraction and yet another excuse for gambler’s to stay put. At first the sign placement at the boneyard seems haphazard, but as you work your way through, the alleys and tableaus create a real sense of place. Most of the signs have not been restored since it can cost up to $100,000 a piece to get just one in working order. 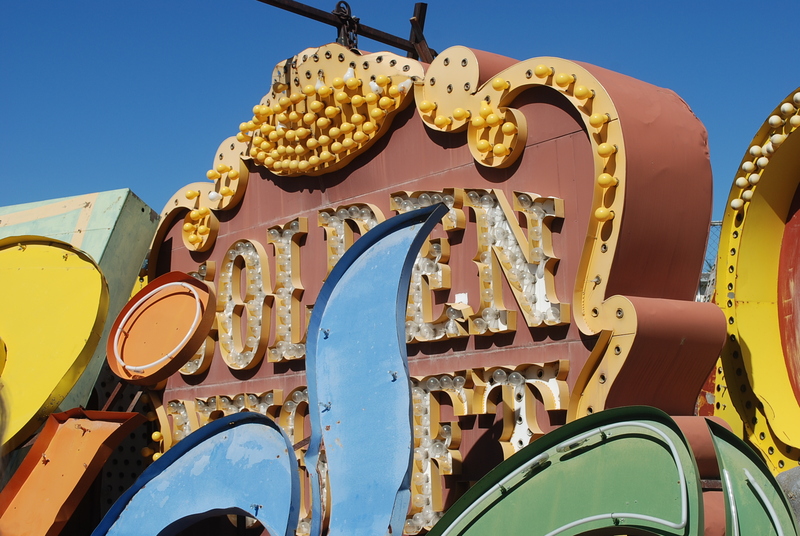 The Golden Nugget, also downtown is one of the oldest casinos in Las Vegas. It opened in 1946 and is where casino magnet Steve Wynn got his start. Here’s one of the many iterations of that casino’s signs. In the 1950s & 60s many businesses all of the country displayed giants outside of their stores, the one in my hometown held tires for an auto shop. Here’s one that stood outside a Vegas pool hall. 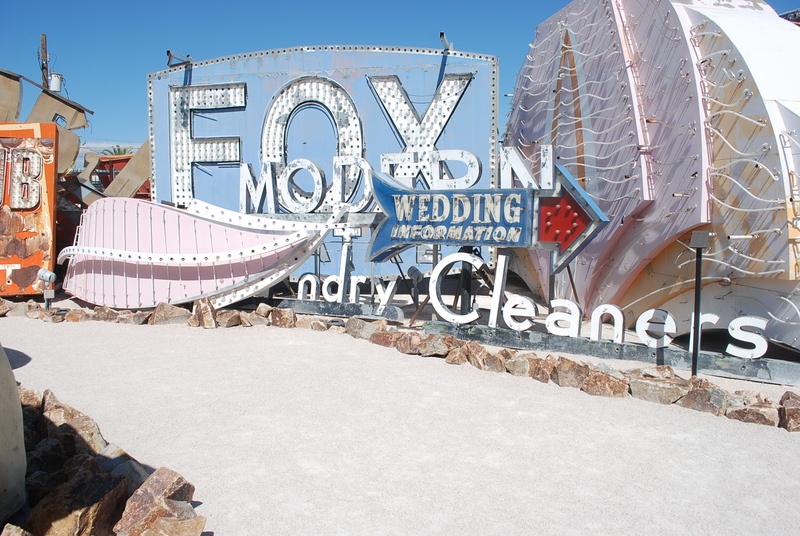 Even the lowliest of lodgings and local businesses felt they needed their own neon bling to compete for attention. Another one of those “alleys”. The bits and pieces were just as fun as signs that were intact. The lamp from the Aladdin now a Planet Hollywood (sigh) . . .
Another Middle Eastern delight, the Sahara. 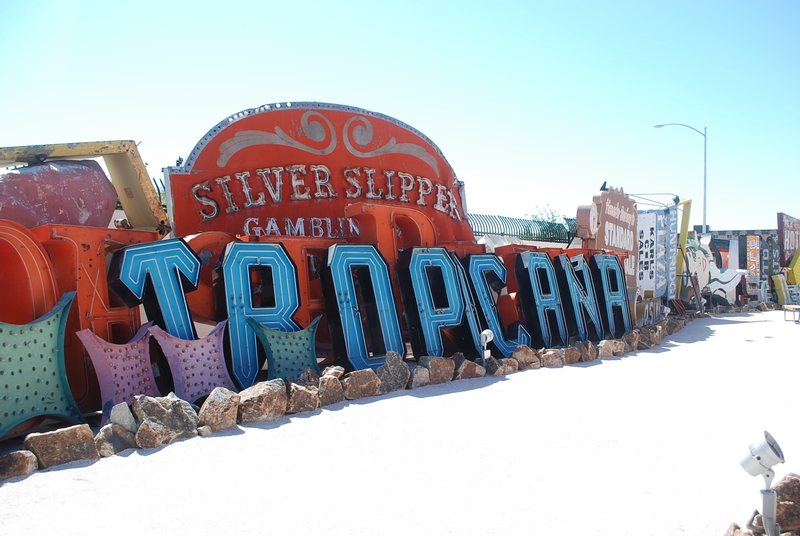 The Tropicana, opened in 1957 and is still in operation at one of the main intersections on the strip, Las Vegas Boulevard and Tropicana Avenue. As we rounded the final curve, the sun was really starting to beat down. And then we saw it; the museum’s pièce de résistance – The Stardust sign. 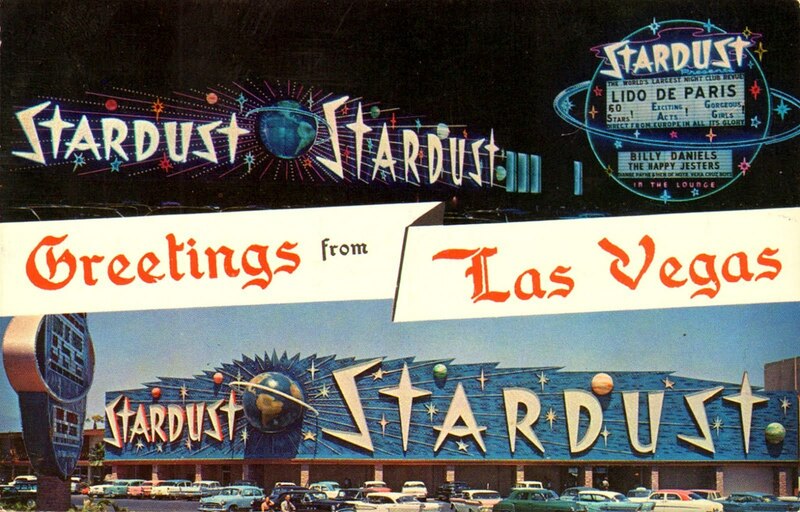 Opened in 1951, The Stardust was conceived and built by Tony Cornero, who died in 1955 before construction was completed. The resort’s assets were acquired and completed by John Factor (aka Jake the Barber), half-brother of cosmetics seller Max Factor, Sr. John Factor then leased the casino out to a company controlled by mobster Moe Dalitz. Closeup showing some of the remaining stars. When the hotel opened, it was the largest hotel in the Las Vegas area, had both the largest casino and swimming pool in Nevada. 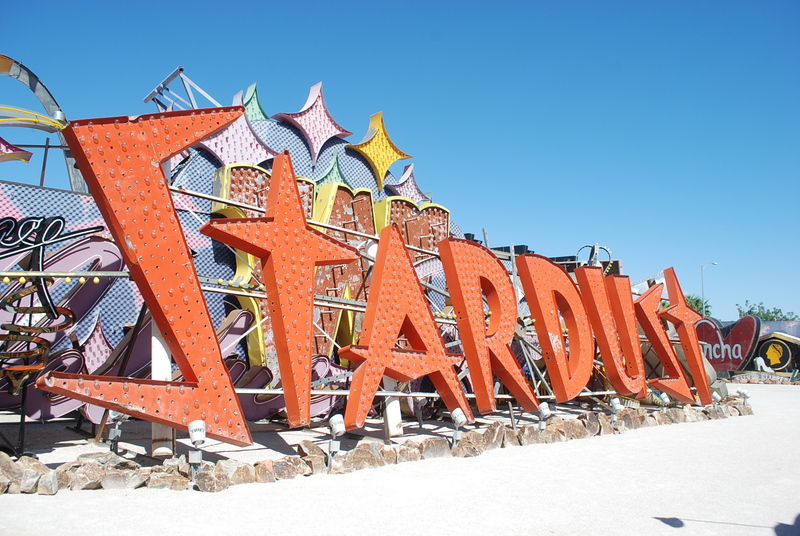 The Stardust sign became a symbol of mid century Las Vegas with it’s galactic imagery and Googie font. The Stardust officially closed on November 1, 2006 after operating continuously for 48 years. It was imploded on March 13, 2007. Our tour was now over and though a sweaty mess, we stood in the hot sun taking it all in one last time. Here were the remnants of the glamorous Las Vegas of old. 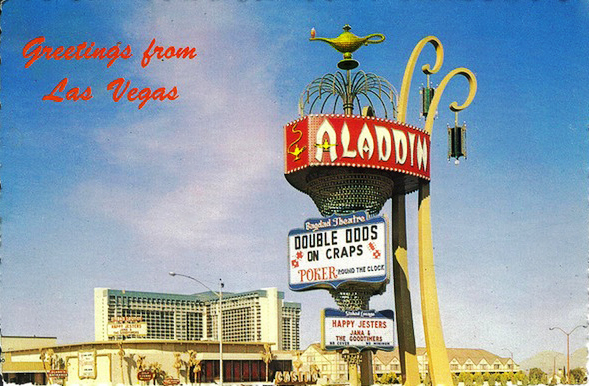 The Vegas of our movie memories. 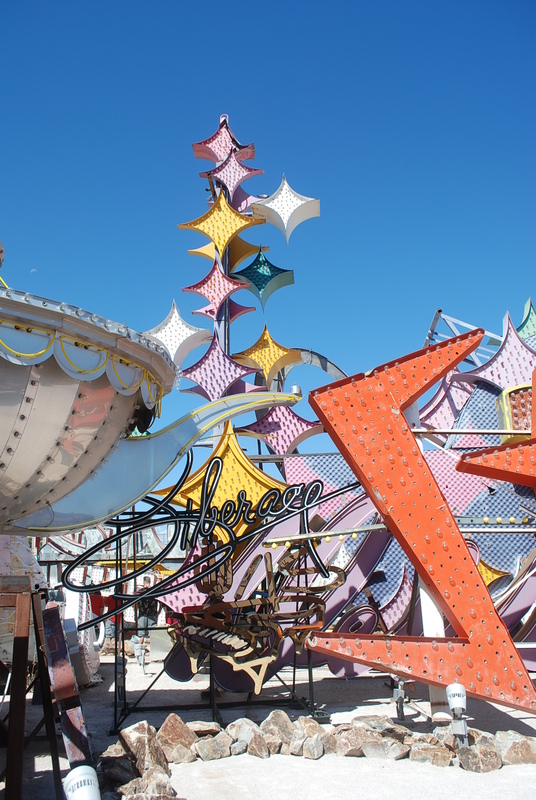 There were echoes of Bugsy Siegel and the mob, Sinatra and the Rat Pack, the ravishing show girls, the lounge comics, all the danger and excitement now vanished from “The Strip” and lying amongst the dead neon. 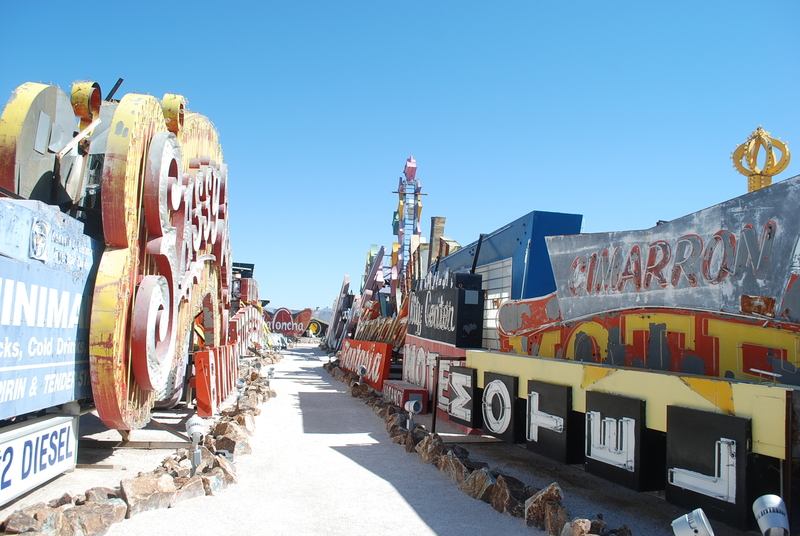 All signs shown are copyrighted by the Neon Museum or original sign owners. Here’s a bonus. 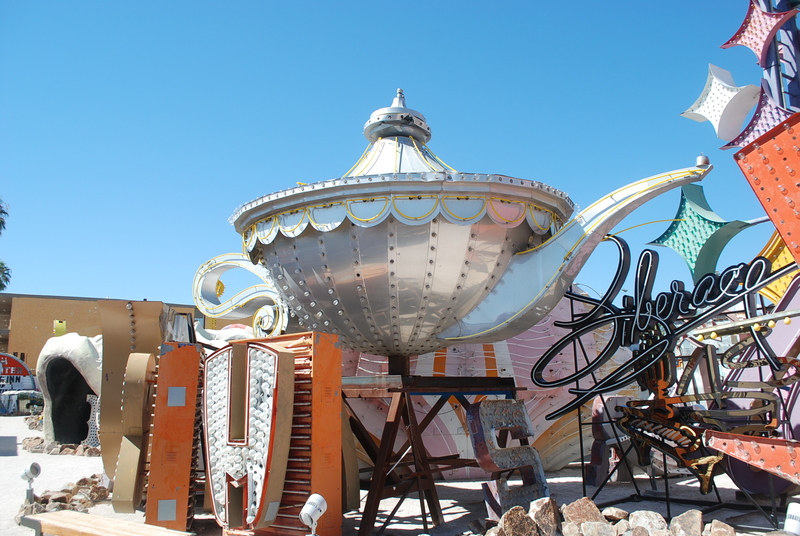 Hometown Vegas rockers The Killers and their 2005 hit “All These Things That I’ve Done” partially filmed at the boneyard. Love this post! Next time I make it to Vegas I will check it out! Looks like a great time!!!! The signs are fabulous. What a fun trip, you made me want to go! Fascinating. 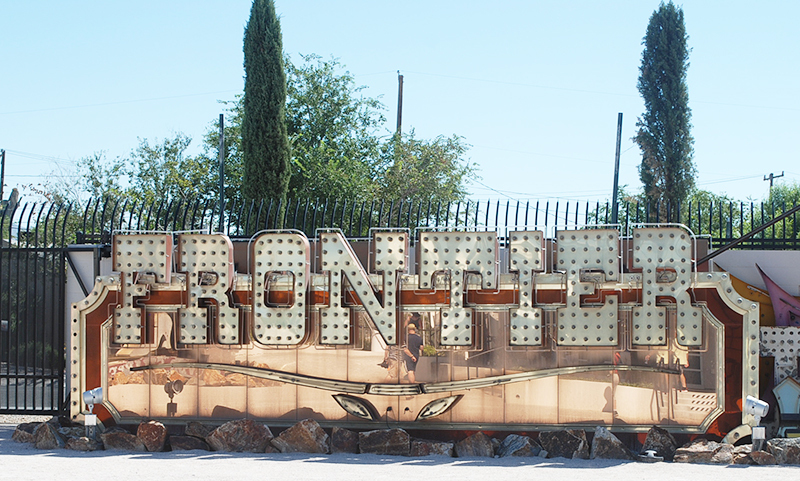 I hitchhiked through Vegas in the late 1960s and was fascinated by the signage. The local police were not fascinated by a 16 year old girl walking down the strip. I’ve never went back. Loved all the photos. Love your blog Madge…keep em coming..